Biodermagen has been called by some, “Oxy-10 on steroids” claims that you can see results within your first 4 days of use. This review is meant to evaluate whether Biodermagen is related to steroids because of its effectiveness or due to side effects. 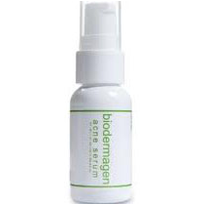 Biodermagen is an acne serum that promises to be the best acne-treating product on the market. This serum is made from “natural” ingredients that claim to clear acne overnight, and in some cases, immediately. 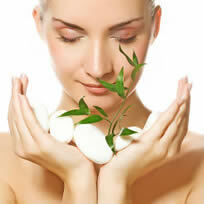 It also states on the webpage that it rejuvenates and restores the skins natural vitality and youthful glow. The ingredient list is short but contains confusing information. In the FAQ section of the site, the company that makes Biodermagen states that Salicylic acid is bad for the skin and strips it of oils, yet that is one of the primary active ingredients in the product. Hydronium 55 antioxidant water, Aloe Vera, Witch Hazel, Salicylic Acid, Allantoin, Jojoba Oil, Hyaluronic Acid, Xanthan, Preservative, Lemongrass, Clove, Bergamot, Lavender, Green tea Extract, natural color and fragrance. Hydronium 55 is purportedly a new ingredient on the market that is packed with antioxidants to boost moisture in the skin. Witch hazel has long been used for acne, but doesn’t provide substantial benefit for severe acne. Salicylic acid is good for some individuals, but many experience horrible side effects, much like they would when using bezoyl peroxide. Jojoba Oil is also far too oily for many complexions that are already oily. Other ingredients provide no substantial benefit to the skin, and only exist in the product to provide a scent and viscosity. 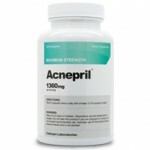 The only beneficial ingredient is hyaluronic acid which is a moisturizing complex. This is better suited for wrinkle-prone skin, and not acne-prone skin. Either way, the company says that these ingredients work together to clear and soften the skin. 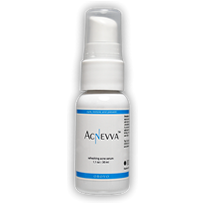 Biodermagen acne treatment will likely irritate your skin. The only benefit is that the site claims they offer a life time guarantee on the product. Even with that in mind, we would still recommend finding something else. Biodermagen is not worth wasting your time or money.